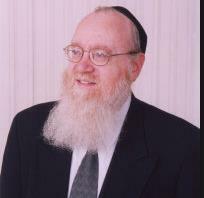 Rabbi Shmuel Irons was born in Los Angeles, California. He attended the Ner Israel Rabbinical College (Baltimore) and completed his studies at Beth Medrash Govoha (Lakewood). In 1974, Rabbi Irons became co-founder and Rosh HaKollel (Dean) of the Kollel Institute of Greater Detroit, the first community Kollel in the United States, and a center of advanced Talmudic learning, outreach and adult education. In addition, Rabbi Irons is the chairman of the Board of Education of Yeshiva Beth Yehuda, Southfield, Michigan and a member of the Rabbinical Court of the Vaad HaRabbonim of Greater Detroit.